Del Webb Sunbridge will be a new active adult community in Central Florida. Rendering courtesy of Del Webb. Del Webb, one of the nation’s largest 55+ homebuilders, has just announced its newest active adult community coming to Central Florida. This new active adult community called Del Webb Sunbridge will be located in St. Cloud, which is part of the highly sought-after Orlando-Kissimmee area in Florida. Homebuyers can expect single-family and attached home designs starting in the mid $200s. VIP home sales are slated to begin in late fall of 2018 with a grand opening event planned for summer of 2019. Although amenities are still being finalized, buyers can look forward to impressive resort-style amenities that have made Del Webb a leader in the world of active adult real estate. A 25,000 square-foot clubhouse has been announced and will surely be the community’s central hub for clubs, activities, and social events. Homebuyers can also expect state-of-the-art fitness facilities, gathering spaces, hobby rooms, and outdoor amenities set on beautifully manicured grounds. Del Webb will offer both single-family and attached home designs that range in styles, sizes, and price points. Homes in Del Webb communities throughout Florida, like Del Webb Orlando and Del Webb Lakewood Ranch, are built with modern features that active adult homebuyers seek such as open and inviting layouts, first-floor master suites, covered outdoor living spaces, and low-maintenance exteriors. Del Webb Sunbridge will be located in St. Cloud, Florida, with Lake Nona and the Orlando metro-area close at hand. Homebuyers are drawn to this location for its world-class attractions, and award-winning golf courses as well as its natural beauty and scenic lakes. Active adults will also appreciate the community’s lock-and-leave lifestyle coupled with the fact that the Orlando-Kissimmee area is a transportation hub with many major interstate junctions as well as the Orlando International Airport nearby. 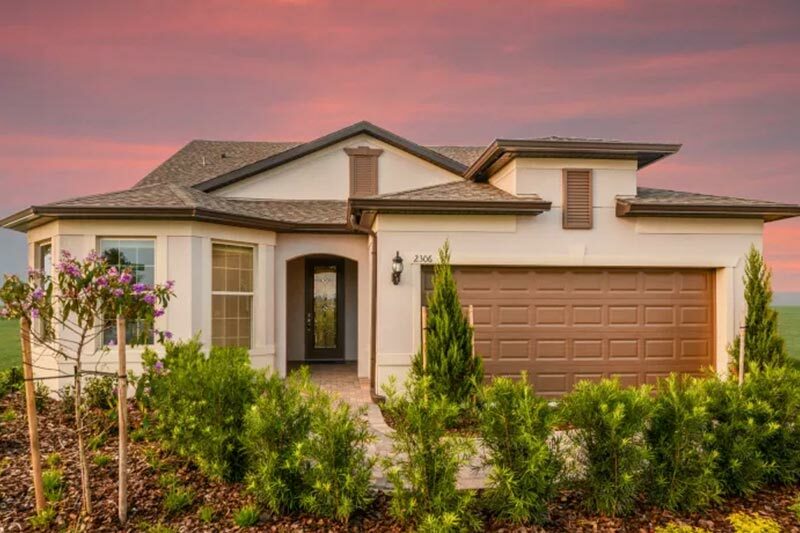 Active adult homebuyers looking for new construction within a 55+ community in Central Florida are sure to find what they are looking for in Del Webb Sunbridge.